Study Turkish yourself, study with a Turkish language teacher or both. Learn Turkish with Turkish language courses & classes online via Skype! Learn Turkish with Dem Turkish Center Turkish language courses & classes, interactive Turkish lessons for Turkish language learners who want to obtain practical use in speaking, reading, writing, vocabulary and grammar of the modern Turkish language. Merhaba! 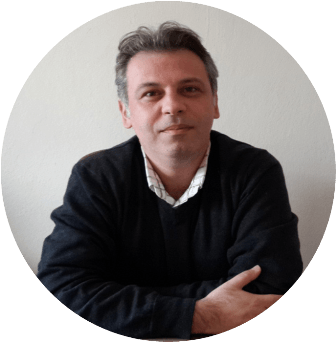 I am Ali Akpinar, a qualified & experienced Turkish language teacher offering Turkish language learning lessons, worksheets & books for self-study, Turkish language courses & classes online and Turkish language vacation courses in Fethiye, Turkey. Check out DTC Turkish language courses & classes online and contact me using the form on this page (buttons) or by email at info@demturkishcenter.com or aliakpinar@hotmail.com to discuss the details or have a trial lessons online. We offer Turkish language courses & classes online via Skype. Turkish language courses include intensive Turkish courses and self-study Turkish courses (study yourself + with your Turkish teacher). Turkish language classes include Turkish speaking practice classes, Turkish grammar practice classes, Turkish reading & conversation classes, Turkish writing (letter/text correction) lessons and Turkish support lessons – online via Skype. Learn Turkish language with intensive Turkish courses online or self-study Turkish courses (Study yourself + study with your Turkish teacher. Check out the details and contact us to discuss the details and have a trial lesson! Take intensive and interactive Turkish courses online via Skype for all levels online via Skype and learn Turkish language with an experienced Turkish language teacher, at the comfort of your home or office, wherever you are located in the world! Intensive Turkish Course includes intensive and interactive Turkish lessons for Turkish language learners who want to obtain practical use in speaking, reading, writing, vocabulary and grammar of the modern Turkish language. Contact us using the form below (button) or by email at info@demturkishcenter.com or aliakpinar@hotmail.com to discuss the details and have a trial lesson online via Skype. Do you think studying Turkish language yourself is a better way of learning for you? If yes, we are also offering self-study Turkish language courses for learners who want to study Turkish themselves with the support of a Turkish language teacher. Contact us using the form below (button) or by email at info@demturkishcenter.com or aliakpinar@hotmail.com to discuss the details and have a trial lesson. Did you know that, beside taking self-study Turkish courses, you can also study each DTC.COM practical lessons yourself and revise & practice with a Turkish language teacher online via Skype? Check out the classes section below for more details. Improve your Turkish language with Turkish language classes online including self-study Turkish lessons, Turkish speaking practice classes, Turkish grammar practice classes, Turish reading & conversation classes, Turkish writing (corrections) lessons and Turkish support lessons – online via Skype! Study Turkish yourself at your own pace with your Turkish teacher! Download self-study Turkish lessons with audios & answer keys, study Turkish language yourself and study with your Turkish language teacher online via Skype to revise & practice what you have learned. Contact us using the form below (button) or by email at info@demturkishcenter.com or aliakpinar@hotmail.com to discuss the details or have a trial lesson. Would you like to study Turkish yourself with self-study Turkish lessons (with audios & answer keys)? Download Self-study Turksh Lessons and study Turkish yourself! Stop learning Turkish and start speaking Turkish with Turkish speaking practice classes online via Skype! 1. TURKISH COFFEE BREAK Improve your Turkish speaking skill with “casual” Turkish speaking classes by having “casual” conversations while having a cup of coffee. 2. TURKISH INTERVIEW QUESTIONS Ask and answer questions and have an interview with your Turkish teacher using the popular conversations topics. 3. TURKISH SPEAKING PRACTICE COURSES Make a short course with a list of conversation topics and dialogues. Ideal if you are studying yourself or taking a Turkish course and need to practice what you have studied. Learn & practice Turkish grammar through drills and conversation exercises! Improve your Turkish reading, listening & speaking skills while learning Turkish words! The instructor gives the unknown / new vocabulary (Learn new vocabulary). The instructor read the text (Improve your listening skill and get familiar with the pronunciation). The student read the text aloud and the instructor corrects his pronunciation mistakes (Improve your reading skill and practice the pronunciation). The instructor and the student do the comprehension exercise together (Improve your speaking skill). The student writes the text with his own words and the instructor corrects it in class or outside the class (Improve your writing skill). Improve your Turkish with Turkish writing (letter/text correction) lessons by email! Read letters, write similar letters to your Turkish language teacher, your Turkish teacher reads, corrects, explains and sends your letter back to you for revision. Write either your own letters/texts or the letters/texts sent by your Turkish teacher. Do you need help with your Turkish language studies? Take Turkish support lessons online via Skype for all levels and study Turkish with a Turkish language teacher when you need help, practice or more explanations about your Turkish courses or Turkish language materials you are using. Contact us using the form (the button below) or by email at info@demturkishcenter.com or aliakpinar@hotmail.com for more information. Please mention about your level, tye of course/class you are interested in, location (for time difference), number of weekly hoursyou would like to take, available time and dates and additional information.